A young Egyptian woman recounts her personal and political coming of age in this brilliant debut novel. Cairo, 1984. A blisteringly hot summer. A young girl in a sprawling family house. Her days pass quietly: listening to a mother's phone conversations, looking at the Nile from a bedroom window, watching the three state-sanctioned TV stations with the volume off, daydreaming about other lives. Underlying this claustrophobic routine is mystery and loss. Relatives mutter darkly about the newly-appointed President Mubarak. Everyone talks with melancholy about the past. People disappear overnight. Her own father has left, too—why, or to where, no one will say. We meet her across three decades, from youth to adulthood: As a six-year old absorbing the world around her, filled with questions she can't ask; as a college student and aspiring filmmaker pre-occupied with love, language, and the repression that surrounds her; and then later, in the turbulent aftermath of Mubarak's overthrow, as a writer exploring her own past. Reunited with her father, she wonders about the silences that have marked and shaped her life. 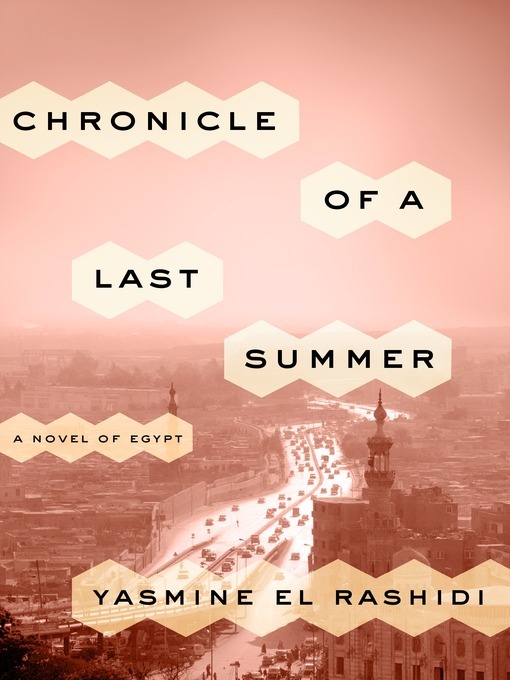 At once a mapping of a city in transformation and a story about the shifting realities and fates of a single Egyptian family, Yasmine El Rashidi's Chronicle of a Last Summer traces the fine line between survival and complicity, exploring the conscience of a generation raised in silence.